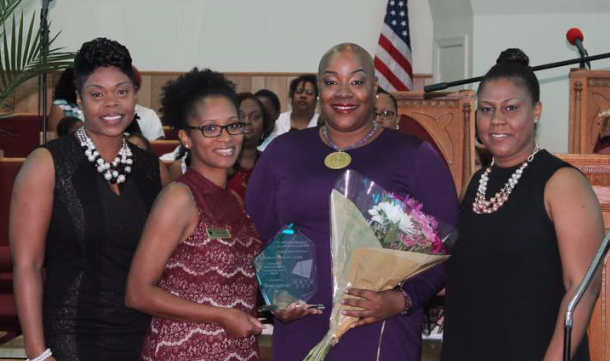 (West Palm Beach, FL) – The National Coalition of 100 Black Women, West Palm Beach Chapter presented Mosaic Group CEO, Ann Marie Sorrell and three other recipients at the St. John’s Missionary Baptist Church on March 12 with the 2017 HERstory Award, honoring trailblazing women in labor and business. The award came as part of the 2017 HERstory Women’s History Month and was presented to honor those who have succeeded in expanding women’s participation in commerce and female power in the paid labor force. The Mosaic Group is an eleven year old full service marketing/events/PR company servicing the tri-county area of Palm Beach, Broward and Miami-Dade. The Coalition of 100 Black Women is a national organization advocating on behalf of black women and girls to promote leadership development and gender equity in the areas of health, education and economic empowerment.